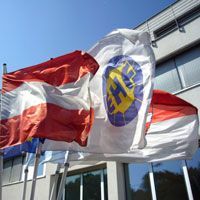 Following an official report of crowd disturbances after the match AEK Athens versus Partizan Dunav Osiguranje, the EHF is to further investigate the circumstances surrounding the problems. Vienna, 4 April 2011. Following an official report of crowd disturbances after the final whistle of the match between AEK Athens versus Partizan Dunav Osiguranje on Saturday 2 April 2011 in Athens, the EHF has announced that it is to further investigate the circumstances surrounding the problems. The match was the second leg, Quarterfinals of the Men's EHF Challenge Cup. Partizan Dunav Osiguranje won the match 24:23 and go through to the next round 52:45 on aggregate.